‘Information is the key’. This phrase has been thrown around a lot of times. We have also heard ‘ignorance is a disease’. There are lots of caustic comments on ignorance, lack of information etc. One would think that this would make the public or at least the social media public seek information at all cost. C’mon! Who wants to go through all that stress? Seeking information at all cost? Nana haba! Information should be made readily available on the social media. What are you saying Nana? Can you not see that CNN, AJE, ChannelsTV and the rest of the traditional media have taken to the social media to enlighten people? What is your problem? Oh! Pardon me; I completely forgot that Federal Ministry of Information is on social media too. What information has anyone gleaned from the @FMINigeria handle recently or previously that does not appear to be stale news or the travelling of the Presidential entourage? Do we have accurate data of what to do in emergencies or where to locate information needed? I doubt this. My parents always tell me, “Introduce yourself to a stranger before your enemy introduces you”. It sounds funny right? 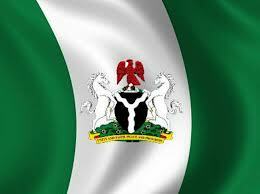 We want to hear positive news about Nigeria. We want to read accurate responses yet the information angle of the government seems to skim through sensitive issues without providing factual information that will calm public rage or explanations that will set people right. Our information channels seem to always be on the defence or attacking without having a balanced view of any situation. It is totally sad. Each time there is a public outcry, I blame the government. Why? Simply because there is information dearth in the land!! If ‘activists’ can write their opinions, why not take yourself off your civil servant high horse and defend your employment or your basis for being where you are? Tell us why you cannot perform properly. Tell us why you are not in the office when clients come. Tell us why it takes a long time to process a document. Let us hear your constraints. Tell us why you had to pull that trigger to kill 6 people. Tell us how you are moved to take that bribe. Put the law in our faces. Shame the reality that exists in your workplace. Be the outcry and tell us why we should pull down these houses. Explain to us what we do not understand. Yes, we do not understand. From our position here on the victim’s side, we cannot see you as the ‘masses’. We see you as the oppressor. Explain the government policies that we do not understand. Remember that most youths went door to door disturbing our peace in 2011 during elections. Many more will do same in 2015. You all had the time to write lofty praises for your benefactors. Most of you too are government employees. Suddenly, your job has taken over and made you so busy that you cannot explain to those of us who do not understand why policies have to be implemented the way they are? The regular excuse comes, “Oh, it is not my department that enlightens the public”. Do yourself a favour and enlighten everybody around you if you have superior knowledge as to why things are the way they are. Do this with facts not fables. You want to build the nation? That government employment gave you a boost. Use it!